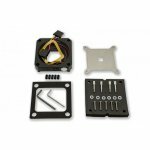 EK Water Blocks EK-SF3D Inflection Point EVO - Mounting LGA-2011 :: ..:: Angela.pl ::..
EK-SF3D Inflection Point EVO - Mounting LGA-2011 is a LGA-2011 socket mounting mechanism for EK-SF3D Inflection Point EVO CPU evaporation cooler. 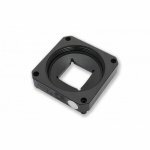 This item allows the EK-SF3D Inflection Point EVO to be used on majority of Intel LGA-2011 socket based overclocking motherboards. 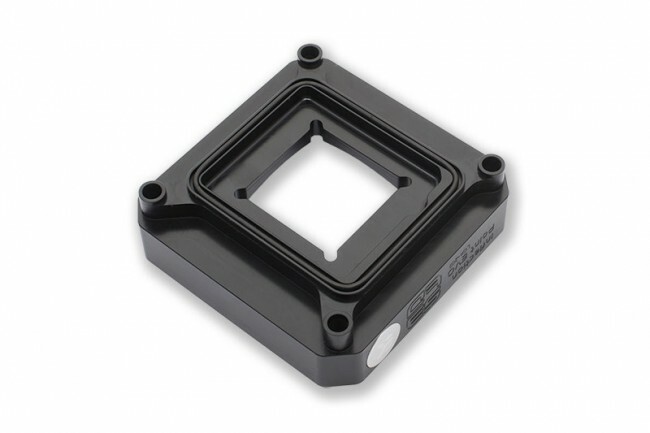 The product is made from precisely machined POM Acetal to fit past the nearby socket components and the socket area is sealed off with (o-ring) gaskets. Backplate is made from 3mm thick stainless steel plate. 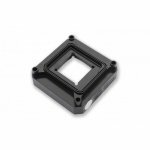 This product also features plastic standoffs which prevent excessive compression of insulation material as well as warping of the motherboard. 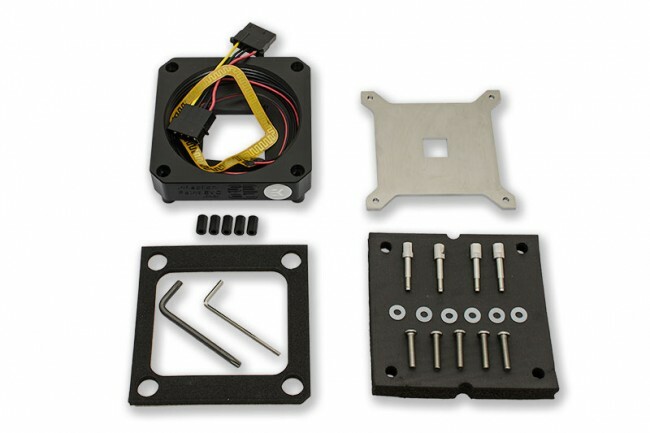 The installation requires the removal of LGA-2011 socket's factory provides ILM (latch mechanism) and it's backplate. 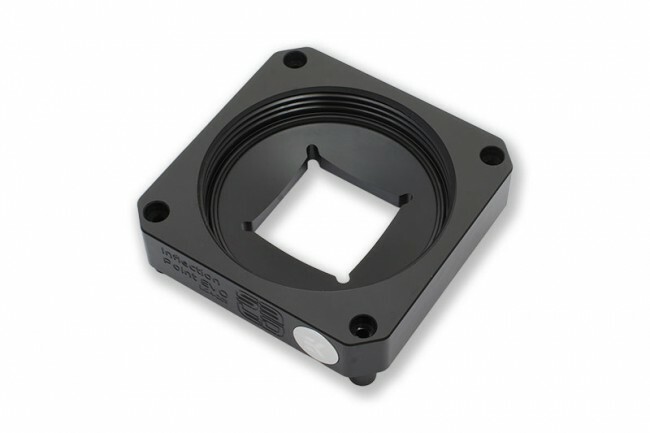 Heater can be used on the backside of the motherboard's socket in order to warm-up the nearby VRM capacitors for higher stability. Heaters made in Hong Kong - PRC.